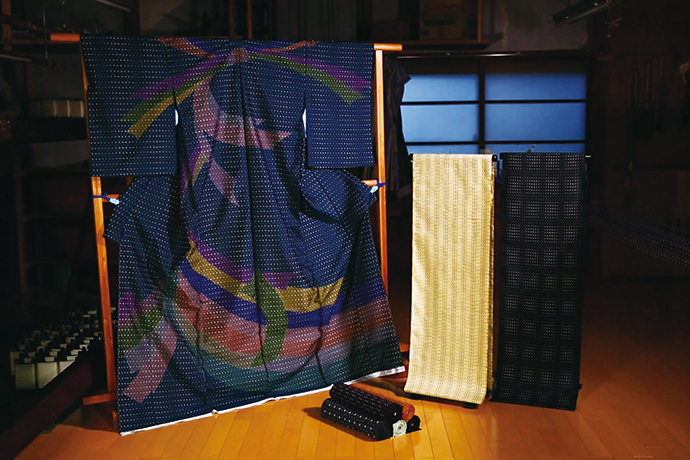 Tokamachi-Gasuri cloth: The exquisite patterns are created with the Kasuri technique. Each thread of silk is dyed with a specific pattern in order to produce beautiful traditional cloths as well as gorgeous contemporary ones. Tokamachi-akashi-chijimi cloth is distinctive with its creases a beautiful crinkled texture. The almost see-through look makes a lovely summer kimono. 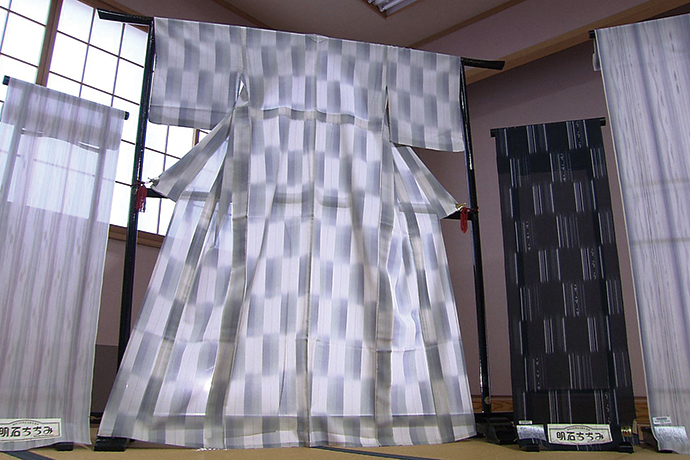 Tokamachi is one of the largest kimono cloth production areas in Japan. It is known for fabrics which are dyed before and dyed after woven. A big kimono festival is held on 3rd May every year., and You can enjoy wearing kimono and visiting a local flea market.